This description of Silvia R. Ziller's work was prepared when Silvia R. Ziller was elected to the Ashoka Fellowship in 2002. Silvia is working to balance social development and community-building with environmental conservation, focusing on sustainability over the long term. Working from this vision, she is the first Brazilian to address biological imbalances caused by foreign plant species. Unlike the United States and Australia, which carefully control nonnative vegetation, Brazil has neither public policies nor legal limitations on the growth of species that degrade the quality of soil and crops. Silvia is implementing new, objective models of species control that pose no threat to the sustainability of human populations and the environment. By teaming citizens, forestry, and agriculture experts, her vegetation management program not only offers environmental benefits but also generates income, promotes financial sustainability, and creates new employment opportunities. After effectively implementing her sustainability plans in open grasslands, which are more susceptible to invasions than forests, Silvia can easily apply her methods in other areas of the region and abroad. The two principal causes of the planet's loss of biodiversity are land conversion for direct human use and invasion by nonnative plant species. Despite Brazil's prominence as a country rich in biodiversity, there are currently no efforts to curb the spread of foreign plants in its forests and grasslands. Although the United States, Australia, New Zealand, South Africa, and some European countries have adopted policies to control outbreaks of nonnative species, they often use potentially dangerous chemicals. Silvia cites one example of foreign vegetation's destructive nature, pointing to Brazilian Ashoka Fellow Fabio Rosa's experience working to improve conditions in the southern region of the country. Genetically modified anoni grass has invaded the southern pampa fields at a rate of 14,000 hectares per year, significantly degrading the land needed to raise cattle. Other regions of the country contend with African grasses, which grow at rates proportionate to, and are potentially magnified by the harmful effects of, global warming. Brazil, like the rest of Latin America, has accepted the introduction of nonnative vegetation, following global forest industry trends based on eucalyptus and pine tests. Foreign plant species have been inaugurated without complete scientific knowledge of the local ecology's vast forest culture. Even simple measures that reduce, but do not prevent, the negative impacts of nonnative plants, e.g. limiting the distribution of foreign seeds by wind, have not been implemented in Brazil. Nonnative tree species occupy an increasing portion of Brazilian soil, growing by 5 percent every year. Similar cases in South Africa have resulted in a depletion of national water supplies that many reach as much as 75 percent in 40 years if no action is taken. The substantial rise in the cost of removing nonindigenous trees makes the need for action even more immediate. In addition to threatening the local quality of life, a Brazilian environmental decline may have implications for native plants that provide a substantial global supply of necessary foods or medicines. Silvia's response to the problems caused by the invasion of foreign plants in Brazil's forests and fields is holistic and inexpensive. Her strategy involves disseminating information, raising awareness, designing control methods, developing public policies, creating appropriate technologies, and managing or eradicating destructive nonnative vegetation. She works with top scientists and agriculture specialists from around the world to devise plans for the protection of essential flora and fauna from imported species. Silvia shows farmers how to boost production by removing injurious vegetation, helps forestry companies create controlled environments to cultivate imported plant varieties, advocates against the use of potentially harmful chemicals, and shows municipal leaders how to benefit from indigenous trees through ecotourism. Her organization relies on the participation of various local and regional actors, including citizen groups, municipal governments, road managers, city councils, universities, research institutes, and the Ministry of the Environment. Although her mission does not permit compromising the native environment's dignity, Silvia's nonconfrontational approach to participation facilitates voluntary and mutually beneficial collaborations. As a scientist and grassroots leader, she is trusted by farmers and government officials alike because of her easygoing but professional style, her experience as both a Ph.D. and the head of a nonprofit organization, her fluency in forestry and agriculture rhetoric, and her commitment to the mission. Silvia chose strategically to start her work in the grasslands of southern Brazil, the region where high winds and excessive burning exacerbate invasions by exotic species. Silvia's program has complementary social and economic impacts on the communities in which she works. By emphasizing the destructive effects nonnative species can have on small private and public lands, she rallies rural land and business owners to participate in the program. Local teenagers and college students volunteer to remove stray seedlings from highways and personal property where they can not only kill helpful indigenous vegetation and wreck natural and man-made structures, but can also blow into fields and nearby forests. Road management institutions have already pledged their support to Silvia's initiative and have agreed to finance the removal of alien trees from roadsides. Silvia asserts that her program's success and popularity justify local, national, and international research efforts to promote efficiency and long-term planning. She has also begun to compile information that could be used in forestation initiatives. Fifteen municipal governments have pledged support for the further development of Silvia's work as an ecotourism project. Furthermore, Silvia intends to apply her model and launch projects based on the pilot in southern Brazil by working with organizations in other countries facing similar environmental threats. Silvia received her introduction to nature during her childhood in Brazil's Santa Catarina countryside. At home, her mother recycled long before the practice was common, and her father, a protector of fauna, surrounded himself with natural history books. Silvia attributes her family's high ethical standards to her grandfather, the first pastor of the Porto União Santa Catarina Lutheran church. From him Silvia learned that "money is not the reason to work, just a consequence of work well done." Silvia spoke German before she learned Portuguese, a circumstance that later helped her achieve fluency in English and French. Dreaming of becoming a scientist like Charles Darwin, she loved to read and write. Starting at the age of 11, Silvia developed pen-pal friendships with children in other countries. At 18, she studied abroad in the United States as an international exchange student. Silvia focused her studies on the relationships between diverse environmental elements, including human interaction with the natural world. She earned her bachelor's degree in forestry engineering and her master's degree in ecology, the latter while working as an environmental consultant and English teacher. Her thesis dealt with plant succession in the Brazilian Atlantic rainforest. As Silvia began delving into the problem of nonnative species invasions as a threat to biodiversity for her thesis on grassland ecosystems, she discovered a complete lack of information on the subject in Portuguese. Although the university did not initially support her work, Silvia found independent funding to conduct her doctoral studies in nonnative plant species. With her studies completed, Silvia was prepared to launch her ideas and methods as a fully qualified technical expert. Silvia's entrepreneurial spirit has revealed itself in various forms. 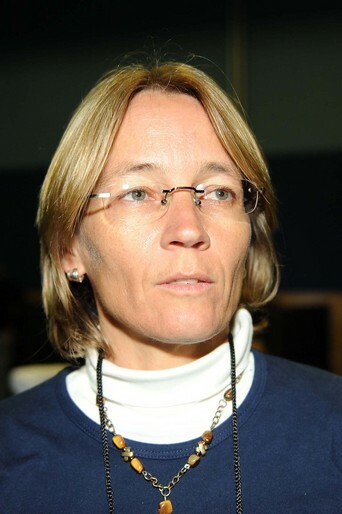 She took the initiative, for example, to computerize the herbarium of the Curitiba Botanical Museum, one of the largest collections in Brazil. Until 1995 the herbarium had all of its information available only on paper. Silvia raised funds from the Boticario Foundation to buy a computer and software and voluntarily trained museum staff to register electronically all of the collection data. Additionally, in May 1997, Silvia led a campaign against the reopening of the highway to Colono that would have cut into the Iguacu National Park. The campaign, conducted over the Internet, collected 800 signatures and successfully shut down the controversial construction.